While I am eagerly awaiting the arrival of the "final" chapter from the guy who made the title of this post famous, the "King" to which I make reference here is none other than TheDiamondKing! And, I, for one, have to say: It's about time, man! 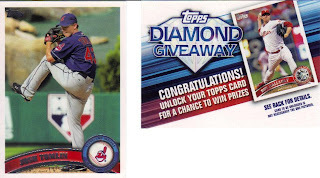 TheDiamondKing has been hanging around card blogs probably as long as card blogs have been around, but he has only been reading and responding and participating in the occasional contest and giveaways often found on said sites. That has all changed. The KING of all things Diamond King has launched a blog! And, HE is holding his own contest! How sweet is that!? Ya gotta go here: http://thediamondking.blogspot.com/ - Excuse his dust as he is still playing with layouts and CSS and XML and a myriad of other acronyms. Er, okay, so I don't know (red, remember) if this was from an actual BOX break or not, but it rhymes, so I'm going with it. 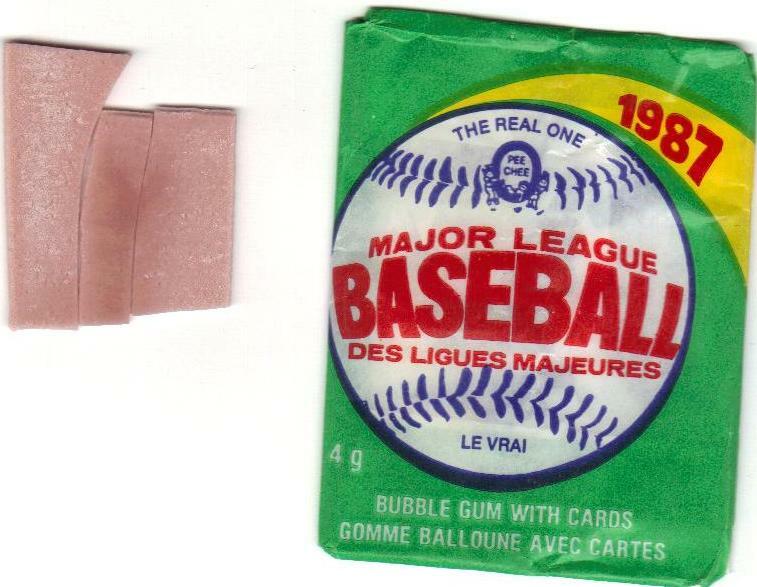 Regardless, I received a bubbleope from Adam containing my haul from the '87 O-Pee-Chee and '87 Leaf breaks. I tried to fit Humpty Dumpty back together, but things just didn't work out too well there. 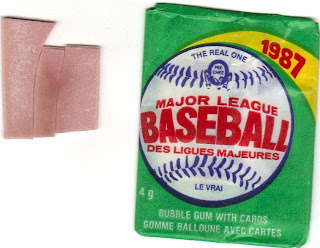 As you can see, the gum is nasty. Very nasty. Of course, any food still hanging around since I graduated high school would tend to have that characteristic. Wow, what a scary thought - this pack is from the year I graduated high school. 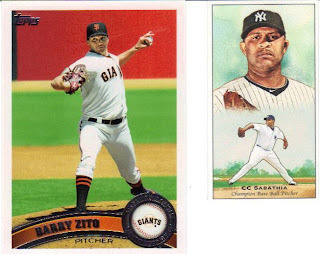 I scanned in only one of each of the cards I received from the pack, but let me assure you that there were more cards than those shown - nearly every card has at least one double in my take from the break! My brother and I called these "The Wooden Kind" when we were collecting back in the day. 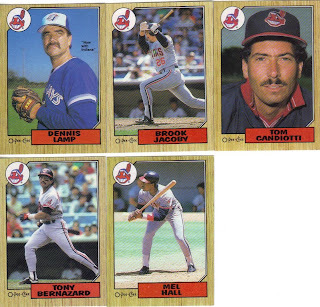 I always loved the little notes OPC included on the cards, like in Dennis Lamp's - "Now with Indians." 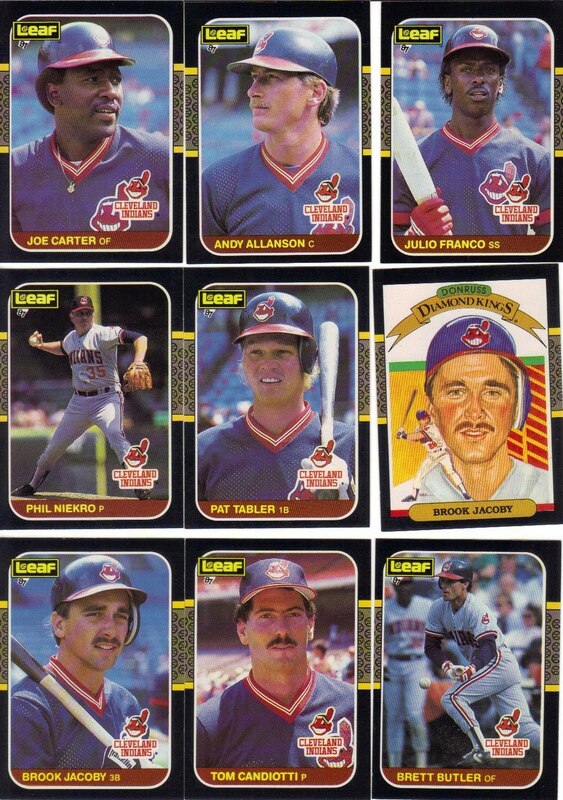 If OPC was able to license the photos and the design from Topps back in '87, I wonder if there is some sort of provision for something like that now... If I, for example, wished to license the design and photos from the Topps set in order to make my own set, would they let me do that for a fee? Perhaps I could come up with my own set(s) featuring players from a certain region or that only batted left-handed or something. I'll have to write and ask. I'll keep you posted. 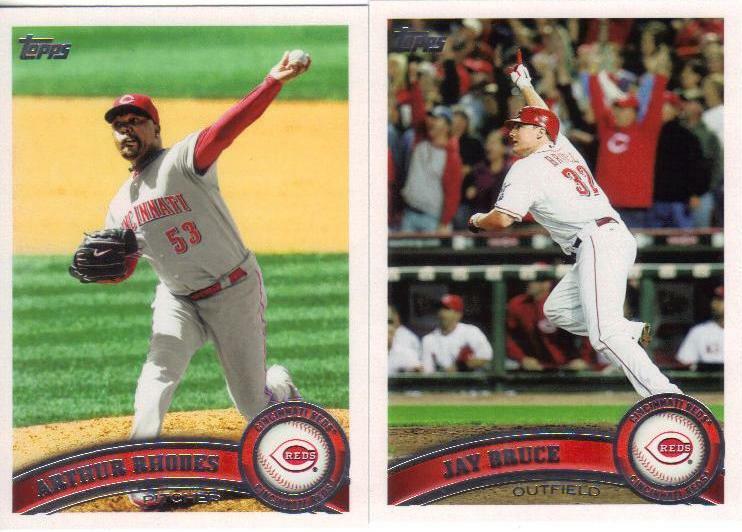 Like the OPC cards, nearly each one of these cards has at least double to go with it. Great stuff! 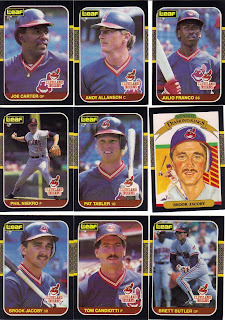 Not only that, but look at the Tribers pulled here: Carter, Niekro, Jacoby, Butler, Franco... This is a who's who of 80's Indians. Awesomeness! 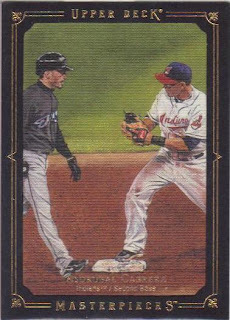 This is an Upper Deck Masterpieces card featuring Asdrubal Cabrera's unassisted triple play in 2008 - the 14th of such plays in the history of major league baseball. 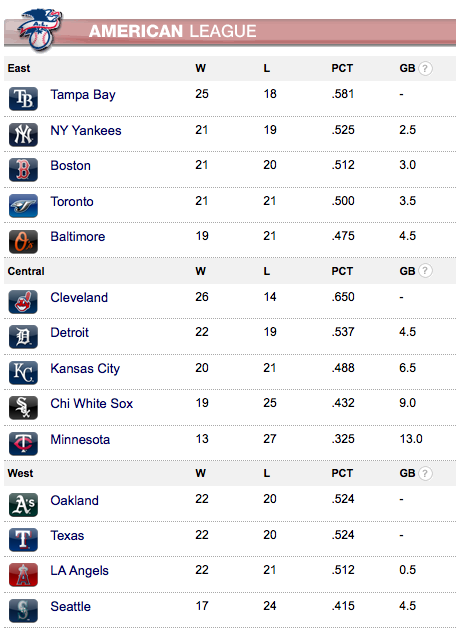 Pretty danged sweet if you ask me. As an aside, I don't understand why so many people have such a hard time saying his name: Az-Drew-Bull (though I have also heard it as "Az-Drew-Ball" and "Az-Drew-Bowl" - subtle differences, I know). 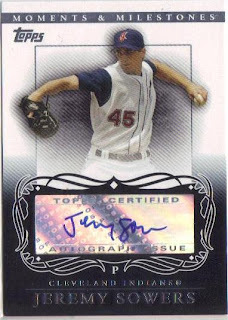 In any case, a BIG Tribecards THANKS goes out to Adam at Thoughts and Sox for the break!! Just to clarify: these are boxes of cards, not cases. There are 36 packs of Sportflics, 8 packs of A&G, 16 (total) packs of Bowman, and 24 packs of Heads-Up. I apologize for any confusion. Update #2 - Change of plans for non-sport/no-team cards: I have an offer from Mark A regarding non-sports and non-current teams. I have accepted the offer, so he will receive the non-team cards from this break (basically, this applies to the A&G break). If you have PAID and you do not wish to participate because of this change, please let me know and I will take you out of the break. Thanks! 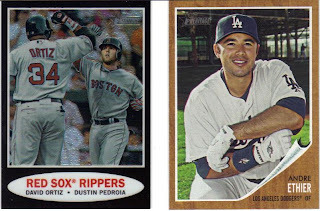 I am offering a buck-a-box group break. Here's how it works: You send a gift through PayPal to davidinark over at yahoo with a dot and a com. How much of a gift? Well, that depends on which team(s) you pick! If you pick a team that did not exist in 88 or 90, then you play for just $3. If you pick a team that appears in all five boxes, then it's $5. That's it, too. That includes all shipping, packaging, etc. I'm basically doing my version of an "El Cheapo" group break! 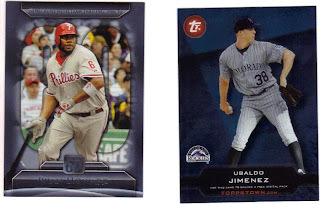 You get ALL the cards for your team - base, serial, game-used, autos, doubles, whatever! 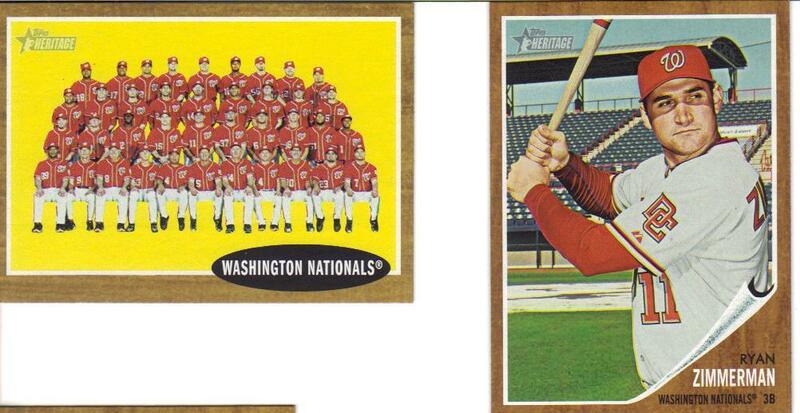 Notes: not all teams appear in the 1990 Heads-Up set, so I deducted a buck from the teams not appearing. 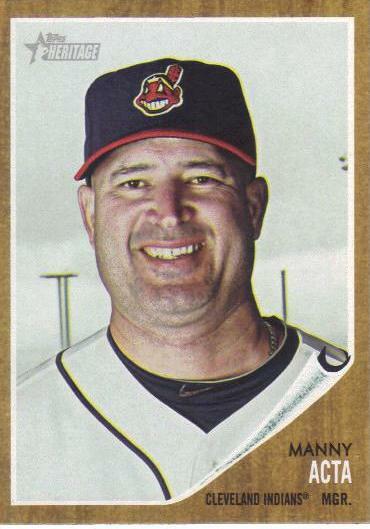 If a card features more than one team and every team on the card is taken, I'll flip a coin - winner gets the card. Any unclaimed teams will be put into a pile and randomly distributed among the group break participants (excluding myself). Other "rules" (such as they are) may be drawn up if/when needed. Why $3 for the Indians? Because if you choose the Indians, you and I are splitting the bounty! I will put all the Indians that I do not already own into a list and Random.org will decide who gets what. The only time I will interfere is if it chooses to give one person doubles. At that point, I'll use a highly scientific method to determine what happens (that usually involves a coin). 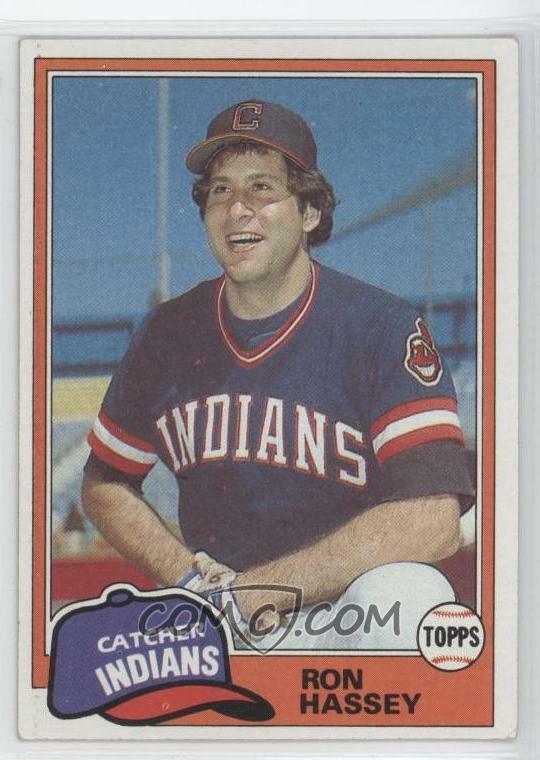 Plus, if I already own a pulled Indians card, you get it. Period. Merry Christmas! What ya gotta do: send the gift to me (davidinark@yahoo.com) and be sure to tell me your address and which team(s) you want. Teams will be handed out first paid, first dibs. If you want more than one of the bulleted teams above, please make sure your gift covers all the teams you want. You can also leave a comment on this post to let me know if you intend to participate. I will put your name by your team(s) but everything is fair game until I receive payment. If two people pay at the same time for the same team before I can update the list, only the first person to pay will count, and I will refund the other's money or give them a chance to pick another team or teams. Come on down for the Buck-a-Box Group Break!! The break should happen on or around June 4th! *and if you've learned anything by reading about my previous breaks/giveaways, you know there are bonus items of some sort. The crowd at The Jake falls into a deafening silence. It pushes against my ears like two massive headphones from the seventies. 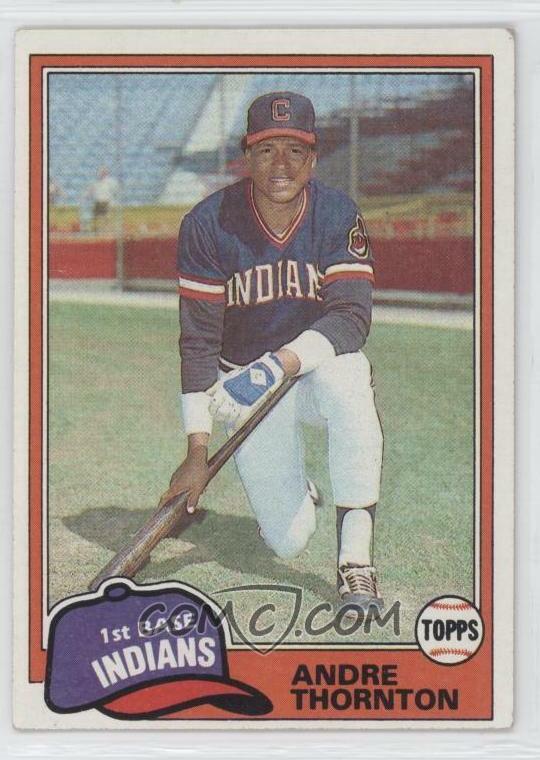 The PA announcer breaks in, "Now batting for the Indians, Number 4, David Henderson. 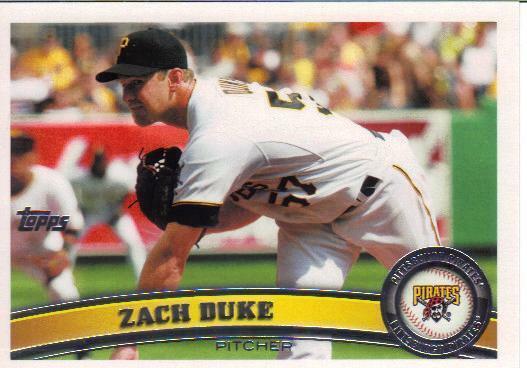 This is his Major League Debut." A murmur begins behind home plate, a few random fans around the stadium clap slowly, as if unsure as to whether or not they should be clapping. Soon, a polite round of applause makes its way throughout the venue. It is as though I were Jack Nicklaus making a putt for par when I could have had an eagle. A breeze sweeps across the infield from third to second, kicking up swirls of dust. The fielders seem indifferent to my appearance at the plate. I make my way from the on-deck circle to the plate without tripping over my own feet or, more likely, a blade of grass. 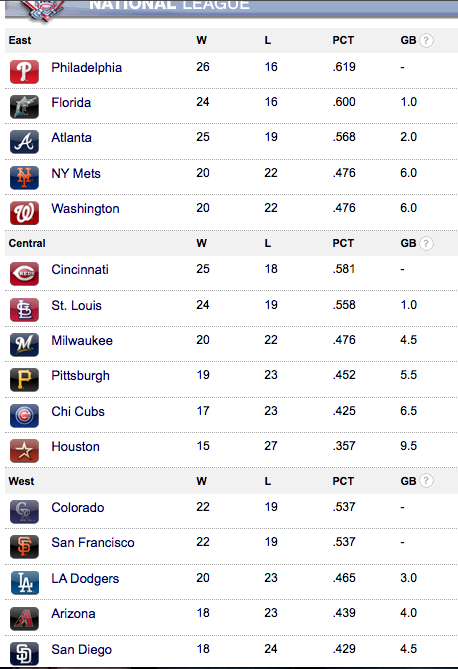 I'm facing Cliff Lee or C.C. 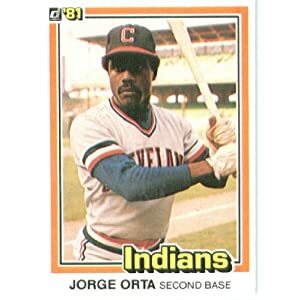 Sabathia or one of the myriad other former Tribers playing against the Indians this game. A smirk forms on the pitcher's mouth and he shakes his head, rolls his eyes, and gives a sigh. I adjust my helmet and put the bat back over my shoulder like I've been telling my own children to do for years. The pitcher winds up and I see his arm come over the top. "STREEEEE-IIIIIKE!" the umpire yells from behind me. I can only assume from the sound of the catcher's glove that the ball actually left the pitcher's hand and traveled the distance to the glove behind and below me. I never saw it, that's for sure. I adjust my helmet again and take a few practice swings, as though showing the pitcher where I'd "like" the ball would make a hill of beans difference. The pitcher winds and tosses another ball at me. I see this one, but the time my eyes tell my brain to tell my arms to swing, the ball is already on its way back from the catcher to the pitcher, the ump yelling out another, "STREEEE-IIIKE TWO!" I take a step back out of the box, and tap the dirt from my cleats. Because even without moving an inch, I've managed to get dirt in the spikes. I think it's from trying to dig my own grave in the batter's box. I look at the pitcher as I get back in to the box and shrug my shoulders, hoping he understands that I'm just here to fulfill a dream of playing once, just once in the Bigs. He smiles and nods. I swing the bat to show him where I think I would like hit the ball. He nods again. Was that at me or the catcher? I don't know. The crowd behind me is booing and yelling things like, "What a bum! Get him outta there! Who is this guy anyway!?" There other things being yelled at me, too, but I'm not putting those down here. All I ever wanted was to stand right where I'm standing, bat in hand, facing a professional ballplayer. I've made it, and no matter what anyone yells or says changes that now. I am the one at the plate, not them. I am the one blessed to be wearing the red, white and blue of an Indians uniform. I am the one whose name just boomed over the loudspeaker. I am the one hoping the pitcher doesn't suddenly decide I'd look better with one less head on my shoulders. The pitcher shows me the ball, as if to say, "You see this? Watch it. Just keep your eye on it." He raises his eyebrows, asking if I understand. I smile and nod. I put the bat over my shoulder, bend my knees ever so slightly, point my toes at the plate, and dip my shoulder. He winds and comes over the top with what must be the slowest pitch ever thrown in MLB history, and I see it clearly. 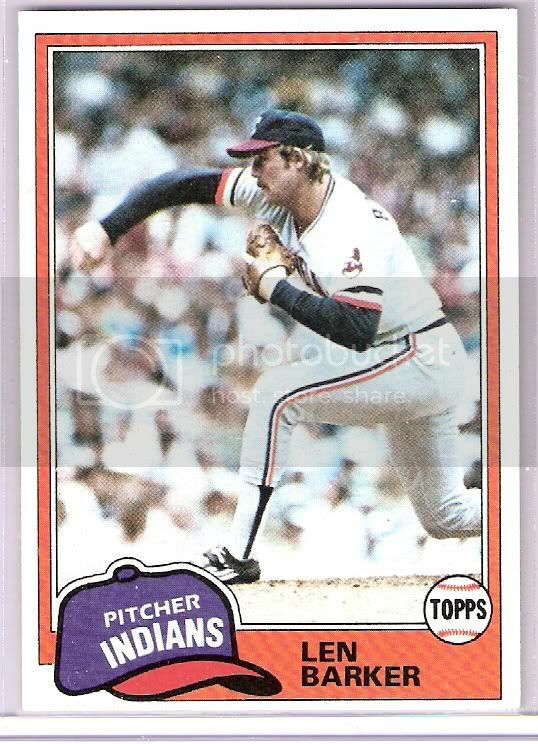 I raise my forward leg, step slightly toward the mound, and swing. One question I get about the set most often: What are they worth? As always, the listed "book value" has little to no bearing on actual value. In the world of collectibles, something is always worth what someone else is willing to pay. There have been several requests from folks that want to buy the set. I am at the top of the list! If you own the set (or happen to have multiple sets and are willing to part with one or more), feel free to leave a comment or shoot me an email (davidinark/yahoo). I'd love to talk about buying a set from you! *Note: The values listed above are just from that Almanac and have no bearing on what I (or others) are willing to pay, so don't let those numbers hold you back. 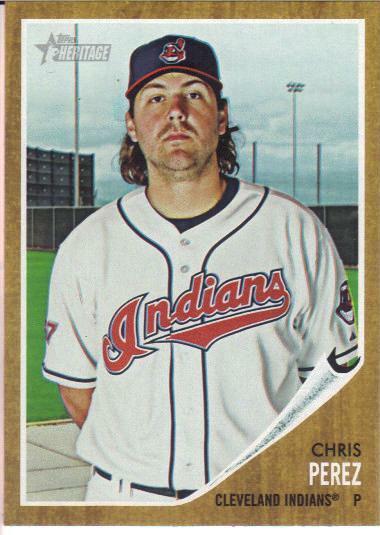 In fact, we might be able to work out a Tribecards-Exclusive auction/bidding war! Now, that would be fun! 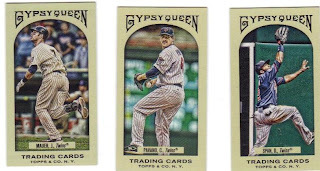 Chris, over at FanOfReds, held a group break recently with a bunch of 2011 Topps Gypsy Queen packs. 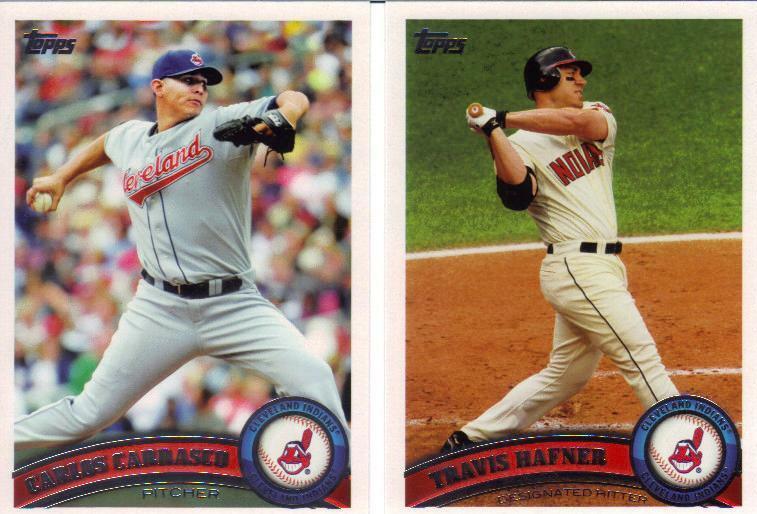 Since the Indians were already spoken for, I chose the Twins, hoping to score a Thome. I did! And that's not all! 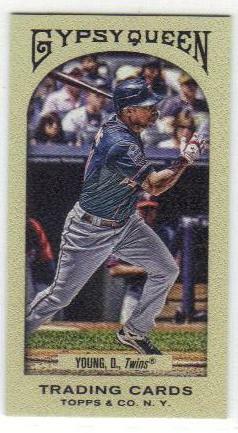 First up, we have a mini leather (07/10) Delmon Young. 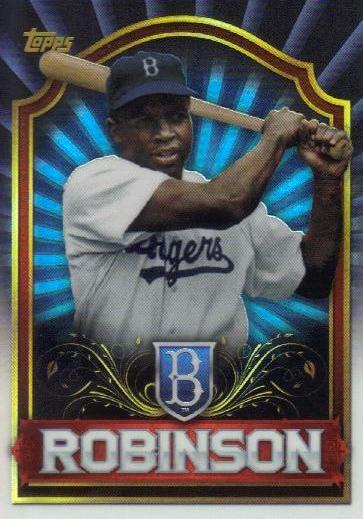 This is one sweet card! I love the leather feel to the card. Are they really printed on leather? I have no idea, but it looks and feels cool. Next up: The man: Jim Thome! 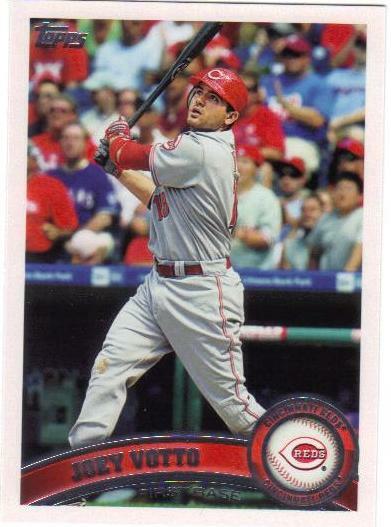 The back of his card reads, "Thome, Barry Bonds, Mickey Mantle, Mel Ott, Babe Ruth, Mike Schmidt and Ted Williams are the only hitters with 500 HRs plus 1500 runs, RBI and walks apiece." 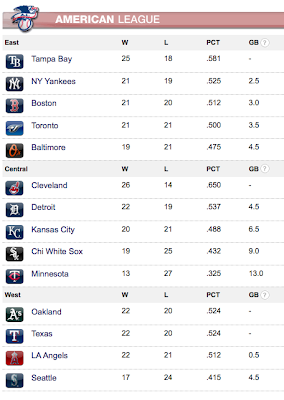 That is some seriously good company to keep. The other card is Denard Span. 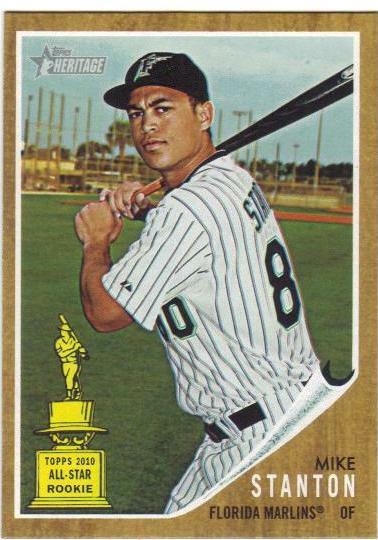 Sorry, Twins fans, I don't know much about him. 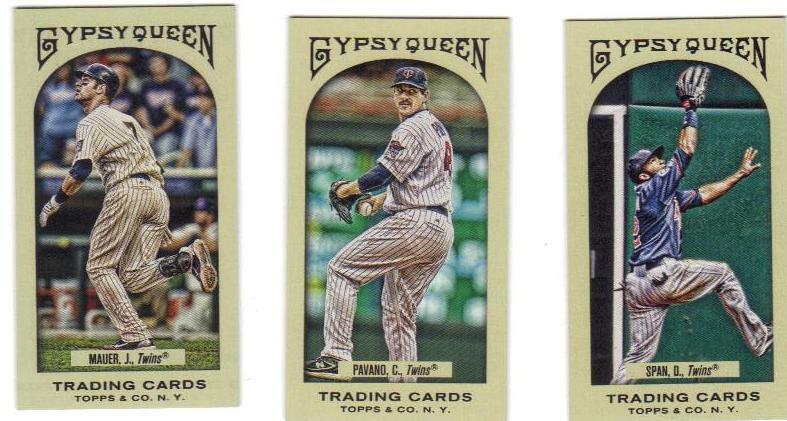 The next three cards are Jason Kubel, Carl Pavano, and Joe Mauer. I like the vintage look of these cards. very cool treatment! The last three are minis: Mauer, Pavano, and Span. 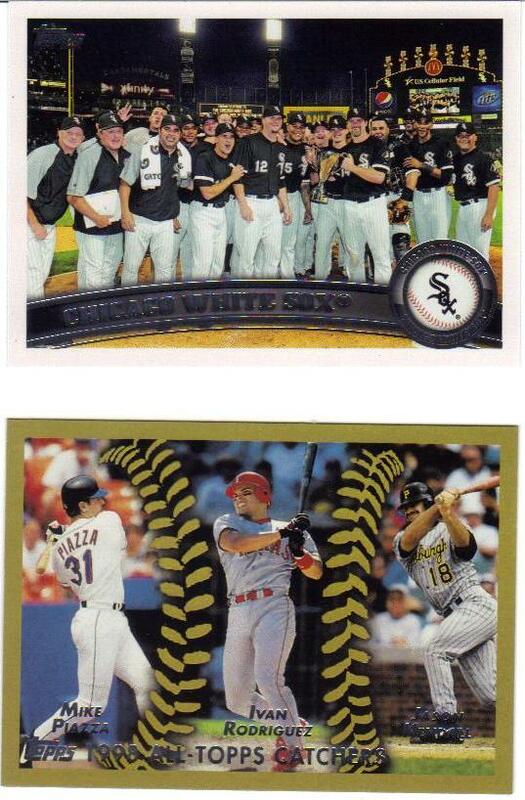 There were a couple doubles (a Thome and a Kubel) plus a few extra "buffer cards" for protection: 2000 Stadium Club Scott Williamson, 1991 Topps Charlie Hayes, and a 2008 "Work Hard, Get Cards" David Wright card. The David Wright has one of those square security stickers covering much of the side with Wright on it. Topps lost their message on that one! I'm glad I decided at the last minute to jump into this break. 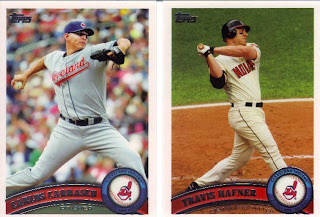 Though I could not choose the Tribe, I am very glad to have scored TWO Thome cards (though one will go in the giveaway box) and the leather mini. Thanks, Chris, for holding the break and busting some cool cards for me! I feel like starting up another blog bat-around! I don't know if one is currently in place or not, so forgive me if I am stepping on toes. 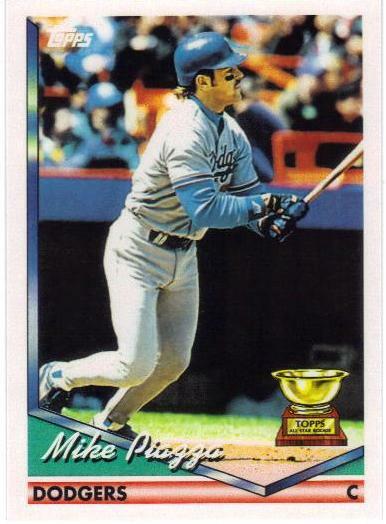 This round is entitled, "My Once in Lifetime" and what I'd like to hear is your dream MLB appearance. Let's pretend that for one game, maybe even for one at-bat and one fielding turn, YOU got to be in the majors, the Big Show, the Bigs. What team's uniform would you like to wear? What number would you want? What position would you play? Who would you like to face (both at the plate and in the field against you)? What do you think would *really* happen during your one shot? What would you *like* to happen during your one shot? As always, leave a comment on this post and I'll keep a running tab to everyone's posts at the end of this one. Here is your chance to make, break, change, or be history! Oh, and if you aren't a blogger, feel free to leave your "Once in a Lifetime" in the comments here! 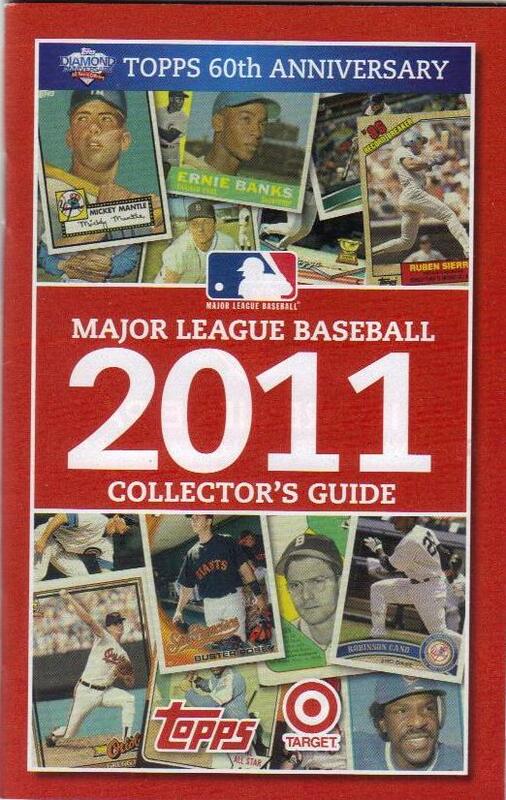 Included in the Value Box from Target are five (5) packs of 2011 Topps Series One cards, two (2) packs of 2011 Topps Heritage Hobby packs, two (2) Diamond Giveaway code cards, a special Chrome Refractor made just for the value boxes, and a 2011 MLB Collector's Guide (with Target branding). 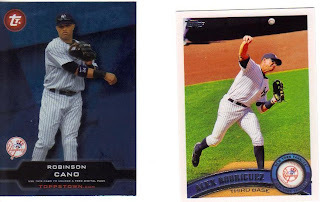 The Diamond Giveaway cards feature Derek Jeter and Albert Pujols (one player on each card). 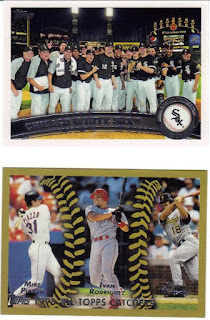 I am sending the Jeter to Sooz over at Card Bandits and Pujols to Erin. I am not putting in the codes, either. I'll let the women do that, and if they come up big winners, then all the better! 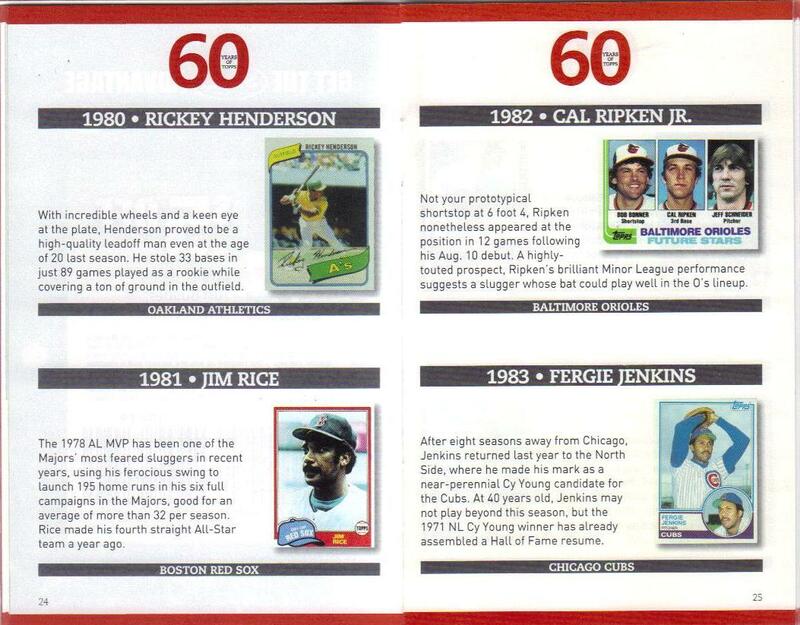 The Collector's Guide shows off one card from each year Topps has been making cards. 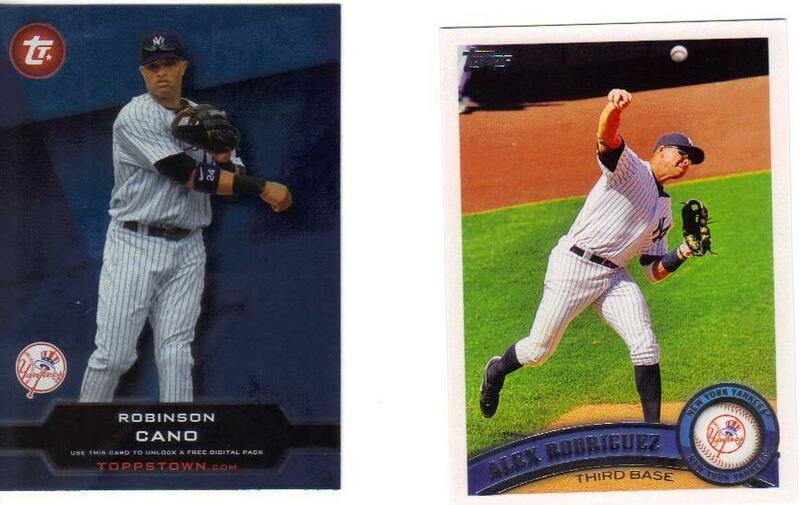 Most of the cards are (or seem to be in my estimation) rookie cards of the various players. 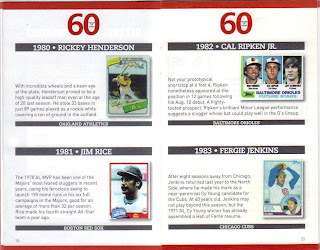 In 60 years of Topps, they couldn't include ONE Indians player's card? Gimme a break. Surely, they could have included a card from each team. Oh well, can't please everyone, I guess. After all, we're not talking Diamond Kings of the 80's, are we? I digress (often, but you learn to live with it or walk away). 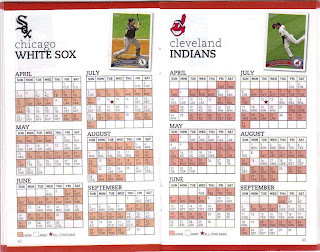 The booklet also contains team schedules, which is kinda cool in a retro "pocket guide" kind of way. 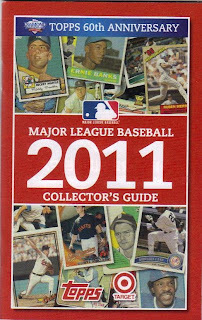 Throughout the Guide, coupons for various products abound: One-A-Day for us aging collectors, $10 off MLB2K11, Scott's Turf Builder (for those of us wishing to build our own "Field of Dreams," I suppose), and others. Of course, using the coupons means tearing them out of the guide. 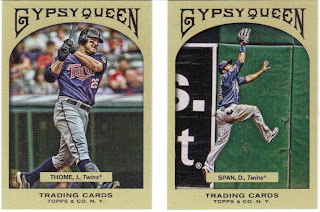 And, thus Topps presents the very dilemma that drives many of its target audience (only slight pun intended) batty: keep the collectible, or collect the "prize?" Dang it. 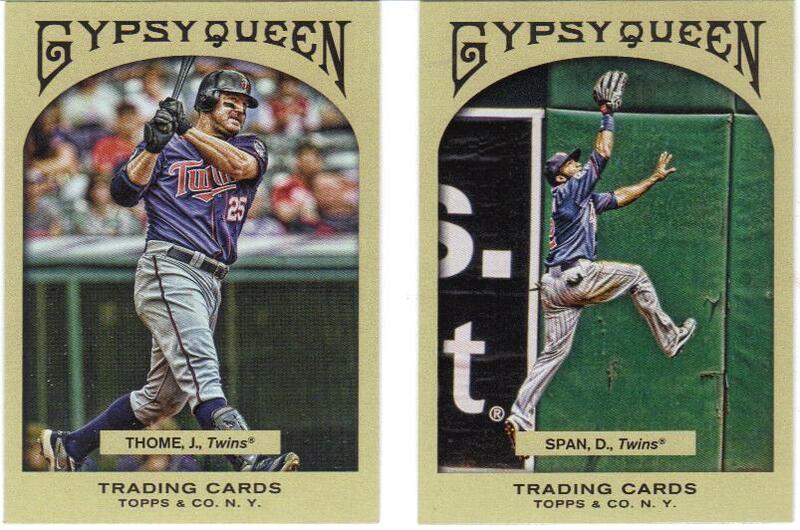 I mentioned earlier that I would probably do a "Tribe or No Tribe" game with the packs, and so we begin! +2 points are awarded for each serial, relic or autographed card. 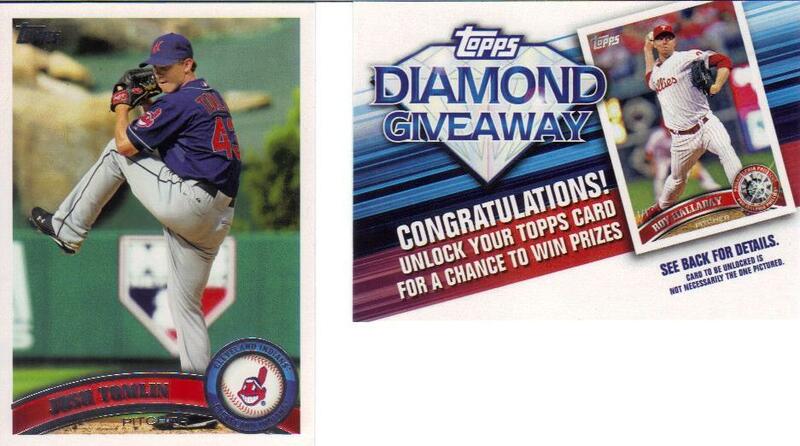 +1 point is awarded for any Thome card in a non-Indians uniform. 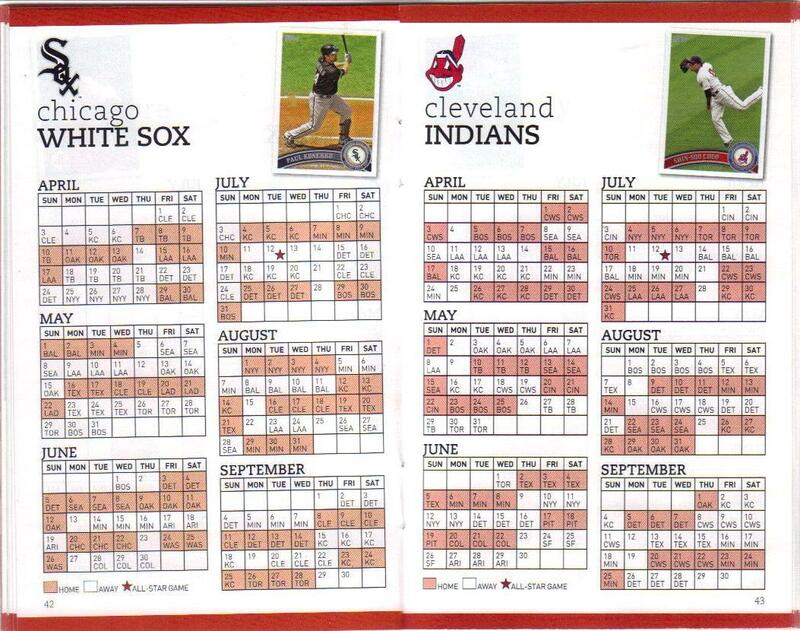 +2 points are given for each Indians card. -1 point from the score for each trap card (even if serial/auto/relic). First pack scores 3.5, which is not good, especially with a trap and a multi-team in there. Nice! No traps and scored a Triber to boot! Wahoo! Total for this pack is a nice 7.5! Well, this pack had 13 cards and scored 6.5. It managed to walk the line - no Tribers and no traps. 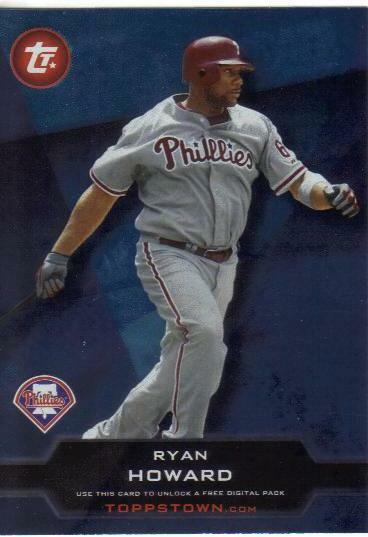 The Duo card counts as a Phillies card because it features multiple players from the same team, in case you were wondering (and I know you were!). Another perfectly par pack - 4.5 points on 9 cards. We ran into no Indians and no traps. We did manage to find a few well-knowns, though. That's always cool to the collector-kid in me. i also like the "pitching vs other teams" stats on the back of the team card. Nice touch. So, I just happen to make my disclaimer just before opening a killer pack. Well, I can only say that is how the wheels of justice work sometimes. Now, I am no "name-it/claim-it" kind of person (or else I would have won the lottery and PCH already)! I am pretty excited about this whole pack, really! Well, okay, about a third of it, anyway. Seriously, though, that Heritgae Chrome is a nice, thick card with a cool black border treatment. I may hang on to that one for my non-Tribe collection.... Nah, have you ever known me to do that? Well, not often anyway. The grand total for pack #6 is 9.0 points! That's a pretty sweet haul. I was on quite a roll there! Then, once I was built up, I needed to be knocked back down again, I suppose. Two Tribers and two traps in the same pack. Well, as the old song goes, "You take the good. You take the bad. You take them both, and there you have... a Topps pack break." Okay, well, I derailed the train there at the end - in the song and in the pack. Thanks to the traps and the non-team card, the total for the last pack is a below par 5.0 (and this is not golf, so below par = bad). My overall opinion of the $14.99 box of cards? 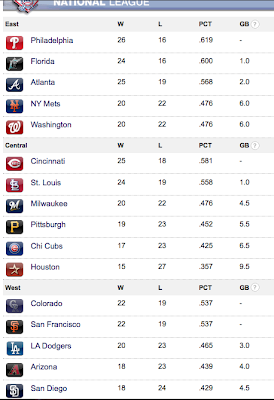 Pretty favorable, actually. Yes, getting more than a handful of Indians helps there, but the packs had a nice variety of players and inserts. Not a bad deal. Especially since the boss paid for it!